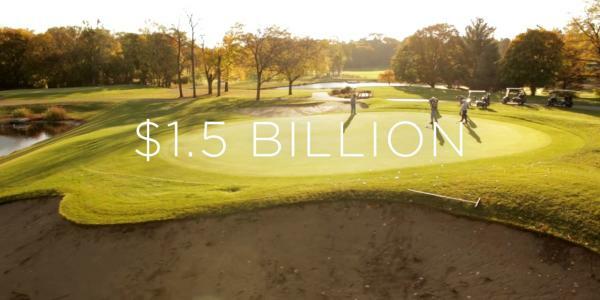 Showcases the value of the state’s tourism industry to Wisconsin’s economy and future. The Tourism in Wisconsin - Keep it Growing Public Education Broadcast Program is aimed at raising awareness among Wisconsin citizens of the economic impact and benefits of the tourism industry to the State of Wisconsin and local communities. Tourism is big business in Wisconsin and cannot be overlooked as a key contributor to the economic health and vitality of our state. The program includes TV and radio spots which will air on 170 Wisconsin radio stations and 22 TV stations throughout the state. The media buy runs for 3 weeks beginning Monday, May 22. The media buy was made possible by the Wisconsin Broadcasters Association (WBA) Public Education Program. The program is funded through WACVB, Greater Madison Convention & Visitors Bureau and Visit Sheboygan, Visit Beloit, Marshfield CVB, Tomah Chamber & CVB, Greater Green Bay CVB, Minocqua Area Chamber, WI Dells CVCB, Fox Cities CVB, Oshkosh CVB, Stevens Point Area CVB, Manitowoc VCB, Visit Eau Claire, Door County Visitor Bureau, Real Racine, La Crosse Area CVB, Janesville CVB and Visit Lake Geneva. Boelter & Lincoln marketing agency of Milwaukee produced the spots. Meet Madison’s biggest booster, March Schweitzer, and experience Madison in a totally new way. 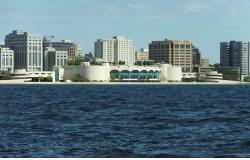 Madison City Tours offer private sightseeing tours of Madison by mini-van. Have a larger group? Madison City Tours can also offer “step-on” guide services. Tours include the 2+ hour “Highlights Tour," a 25 mile route that explores the entire Isthmus area and “Frank Lloyd Wright’s Madison,” a popular in-depth tour. March’s passion and expertise in all things Frank Lloyd Wright will ensure that you will always learn something new. And you can experience the “History of Madison” on a tour that explores its early history from the effigy mounds builders to the Civil War involvement. Specialty and Seasonal Tours are also available. March recently added a new offering to her services—a self-guided travel brochure entitled "That’s Wright!" which provides directions of Frank Lloyd Wright sites by car. Guides are available on the Madison City Tours website, Monona Terrace gift shop, WI State Historical Society Museum, Unitarian Meeting House and the Edgewater Hotel. Locally owned & operated full service coffee house using fair trade coffee beans to craft our coffee and espresso drinks. 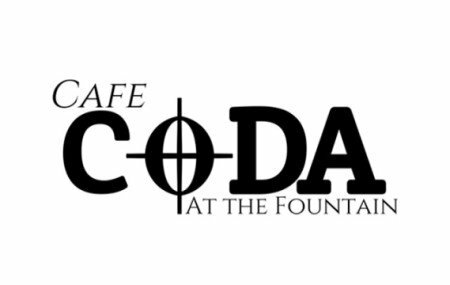 Fair Trade Coffee serves breakfast and lunch items, salads, soups, smoothies, and house-baked goods daily. A farmstead dairy located north of Sun Prairie. Here we bottle milk and make ice cream from our own dairy herd which can all be viewed from windows in our store. Please join us in congratulating these partners! Celebrating its 75th Anniversary Year of Giving, Madison Community Foundation serves individuals, families, non-profits, and businesses that have philanthropic interests and goals, helping them to achieve those goals through efficient management of resources. Otto’s is celebrating 30 Years of fine dining in a relaxed casual setting. Otto’s serves quality seafood and certified Angus beef. Enjoy live music on the deck and Chef&apos;s tasting menus on weeknights. Country Inn & Suites Madison/Monona is celebrating its 20th Anniversary. Join us in congratulation the Country Inn & Suites Madison/Monona team - a team that always makes visitors feel right at home. Join us in congratulating DCRA for winning the Airport Council International-North America Excellence in Airport Concession Award. The Dane County Regional Airport announced that it is the winner of the best small airport food & beverage program. The awards were announced during a gala dinner at the 2017 Airport Council International- North America (ACI-NA) Business of Airports Conference in Palm Springs, CA.